KNK: The Turkish State is Continuing its Massacre of Kurds and destruction of Towns While the World Remains Silent. Read the statement. Salih Muslim Muhammad (Kobani, Aleppo, 1951) is co-chairman of the Democratic Union Party-PYD, the political force that has led the uprising of the Kurds in Syria since the war began, in March 2011. After spending 12 years as an oil industry engineer in Saudi Arabia, Muslim returned to Syria in the 90s to work clandestinely -Kurdish political parties were banned. By the time he became president of the Democratic Union Party, in 2010, he already paid for his political dissent with torture and imprisonment in Assad´s prisons. Kurdish-controlled areas in Syria have declared a federal region in the north, according to officials cited by AFP and a Reuters witness. Idris Nassan, an official in the foreign affairs directorate of Kobani, said on Wednesday that the Kurdish-controlled areas will reportedly be named the Federation of Northern Syria, and will represent all ethnic groups living there. Speaking to RT Arabic, Nassan said that the proposal of federation has existed since the start of the Syrian conflict in 2011. The following is a translation of an article written by Fehim Taştekin for Radikal. In the article Taştekin interviews Eldar Halill, a member of the executive committee of TEV-DEM, and Zuhat Kobani, a representative of the PYD in Europe, and reflects on the current calculations of the Kurds in Rojava in light of the complex geopolitics unfolding in the region. Syria’s Kurds on Thursday declared a federal region in the country’s north, officials told AFP, but both the government and an opposition coalition swiftly rejected the announcement. A British academic has been deported from Turkey after being accused of “making terrorist propaganda” for allegedly handing out Kurdish leaflets. GIRKÊ LEGÊ – Convention for Establishing the Political System in Rojava and North Syria launched in Rimêlan with attendance of 200 delegates from parties and organizations in Rojava and North Syria. A British academic has been taken into custody on suspicion of making propaganda for the outlawed Kurdistan Workers’ Party (PKK), after distributing leaflets inviting people to Nevruz holiday celebrations on March 21. Artillery shooting towards the city started following the declaration of a curfew in the Şırnak city center. With tanks stationed at Çakırsöğüt Gendarmerie Outpost to the north of the city and 23rd Gendarmerie Border Division to the east, the army has started its attacks on neighborhoods with the self-government resistance. The attacks concentrate mainly on Gazipaşa and Yeşilyurt neighborhoods. The definition of “terrorists” needs to be broadened to include supporters of terrorism, who are equally guilty, Turkish President Recep Tayyip Erdoğan has argued in the aftermath of the third major suicide bomb attack to hit Ankara in the past five months. Witnessing his Ottoman Empire remake dream crumbling on the ground in northern Syria, sultan Turkish President Recep Erdogan launched his highly touted (mini invasion) into Syria this weekend. After a near month and a half of constant daily artillery shelling into Syria from the Turkish side of the border, Ankara has just stepped up its desperate aggression in the five year war to rid Syrian president Assad. Russian Foreign Minister Sergey Lavrov meeting in Geneva for peace talks resuming on Monday stated that Turkey is advancing its “creeping expansion” into Syrian territory which of course violates both the recent US-Russian ceasefire as well as all international law. Iranian officials and analysts are speculating about why Russian President Vladimir Putin suddenly decided to begin withdrawing troops from Syria. Some wonder whether Russia won concessions from the United States and the Syrian opposition, but most seem to think that Russia’s action is a positive sign, or at the least nothing to worry about. Despite Ankara’s ongoing crackdown on Kurds, the international community has preferred to ignore the problem, according to Kani Xulam, a Kurdish activist and director of the American Kurdish Information Network. UN envoy Staffan de Mistura said Saturday that Syria’s Kurds have a right to express their views on the country’s political future, even if they are not invited to next week’s peace talks in Geneva. “The Syrian Kurds are an important component of the country, so we need to find a formula in which they are able to express an opinion on the constitution and governance of the country,” the UN’s Syria envoy told Swiss newspaper Le Temps. A ceasefire in Syria will come into effect on February 27, Russia’s President, Vladimir Putin, said in a special address, in which he also expressed hope that all of the warring parties will support the action plan agreed upon by Moscow and Washington. 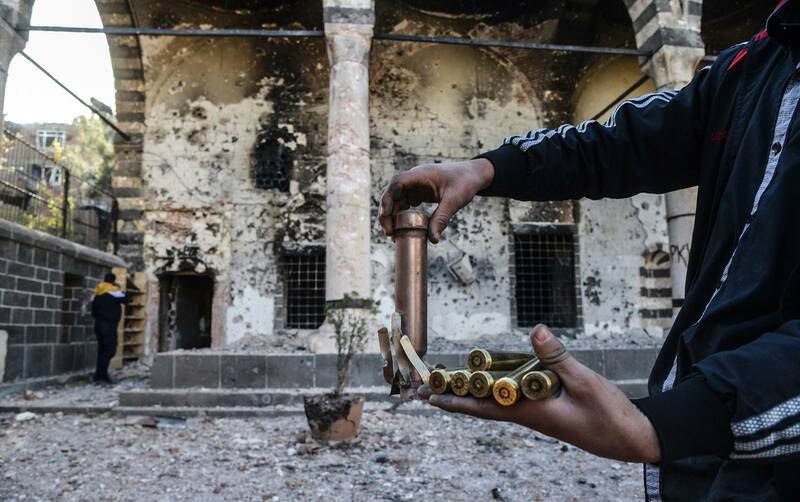 DIYARBAKIR, Turkey — In Turkey’s predominantly Kurdish southeast, the working day starts early for journalists. The agenda is hectic with urban clashes between the security forces and Kurdish militants, military operations and round-the-clock curfews resulting in dire humanitarian fallout. NEWS DESK – The Rojava delegation holding official talks in Luxembourg attended a conference titled ‘Life for Kobanî’ at the well-known theater hall ‘Theatre de Casemates’ yesterday. The conference was attended by 100 politicians, journalists, writers and artists from France and Luxembourg. 10 revolutionary organisations from Kurdistan and Turkey have announced the establishment of Peoples’ United Revolutionary Movement as a unity of force and action formed in the wake of discussions ongoing since December. Under the leadership of President Recep Tayyip Erdogan, Turkey has steadily descended into authoritarianism and instability. The recent government seizure of one of the main opposition media groups, including Turkey’s highest-circulation newspaper, is only the latest demonstration of how Erdogan has betrayed his county’s potential. After five years of bloodshed — after a quarter of a million deaths, and the flight of millions of refugees — Syria has arrived at a critical juncture: A diplomatic framework is in place to end the carnage, a two-week-old partial cease-fire is holding, and peace talks are set to resume in coming days. Ten days ago, under the relative calm of Syria’s cessation of hostilities, hundreds of civilians gathered in the Idlib town of Maarat al-Numan to celebrate the continuation of their populist revolution. For the first time in many months, the world heard Syrian people peacefully protesting in favor of change: “the people are one, and united, the revolution continues!” they chanted, while waving the three star revolutionary flag made popular by the moderate Free Syrian Army (FSA). Similar demonstrations took place in over 100 other towns across the country that day, in a stark reminder to the world that five years of being brutally suppressed by their own government had not defeated their zeal for a just and socially representative future for Syria. This article suggests a combination of military, political, and diplomatic approaches for Western states to combat the Islamic State in Iraq and al-Sham (ISIS). In Syria, support should be strengthened for the only effective moderate force fighting against ISIS: the Kurdish militias. In Iraq, where ISIS relies on local partners from Sunni Arab tribes to help govern, it is incumbent on the West to break this coalition in order to hamper ISIS’s military operations and weaken its governing capacity. Tehran’s military intervention in Syria is a unique event in the history of the Islamic Republic. Reviewing the scope and nature of this intervention and analyzing death notices for Iran’s military personnel and members of its “foreign legion” — Shiite militias from Lebanon, Iraq, Afghanistan, Pakistan, and Syria — provide revealing insights into the strategic logic guiding its decision making. The leadership of the Kurdistan Workers’ Party (PKK) promised that its response to the devastating war waged since July against it—and its political arm, the Union of Kurdistan Communities (KCK)—would be attacks in western Turkey, including Ankara and Istanbul. The latest such attack occurred in the middle of Ankara on March 13, killing an estimated 37 people and injured 125. It took place right in the middle of Ankara in the city’s most popular entertainment and tourist center, close to a large bus station servicing all of Turkey. It seemed to be intended to kill as many civilians as possible. 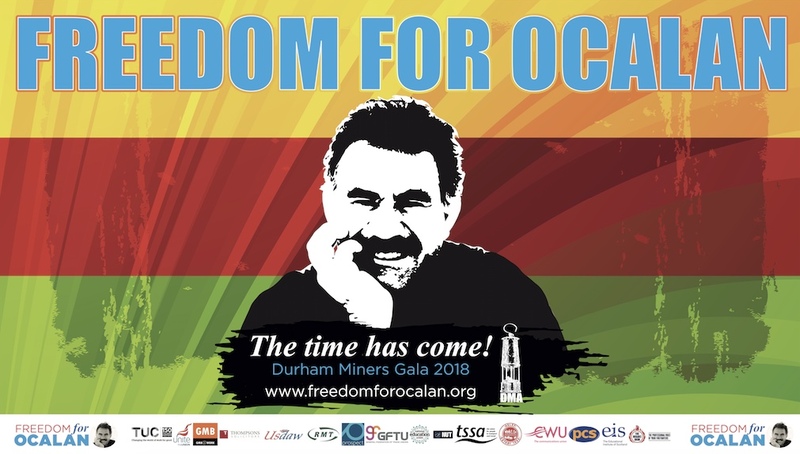 Please join us in solidarity with the mesopotamian people kurds, yazidis, arabs, turkish, muslims, christians…. On March 14, 2016, Turkish authorities reportedly arrested three scholars for whom arrest warrants were issued in connection with their participation in a March 10 press conference. At the conference, the scholars reportedly discussed and expressed their support for fellow scholars who are under investigation for having signed a petition calling on the Turkish government to end its crackdowns targeting Kurdish rebels in the southeastern part of the country. After attempts by the police were made to arrest the scholars at their homes, the scholars reportedly presented themselves to the İstanbul Security Directorate, where they were put into custody and, on March 15, formally charged of “making terrorist propaganda.” As of this report, the scholars are said to remain in custody pending the outcome of their trial. The Turkish State is Continuing its Massacre of Kurds and destruction of Towns While the World Remains Silent. On February 15-16, four TRISE members traveled to Istanbul to participate in a ten-member peace delegation. 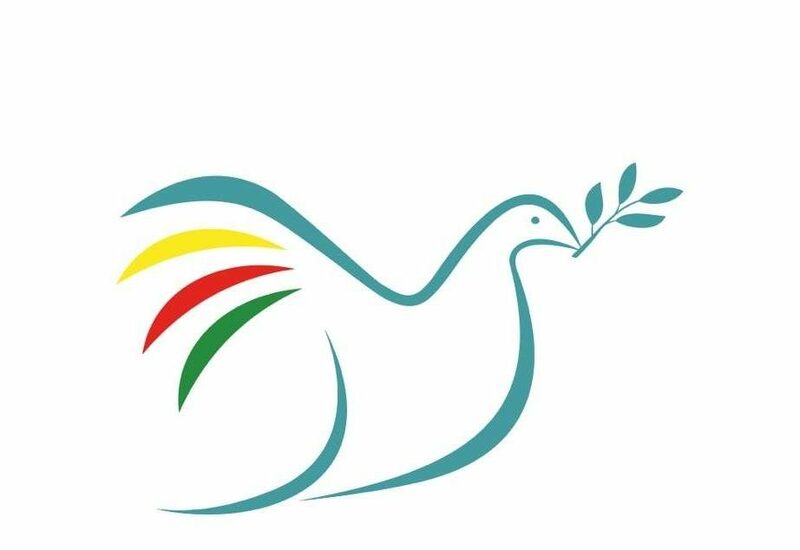 Our purpose was to attempt to restart the peace talks concerning the Turkish-Kurdish conflict, which had been suspended since the spring of 2015, by meeting with members of the Turkish state and with Abdullah Öcalan, imprisoned on Imrali Island since 1999. In February 2016, Kurdish activists accused Turkish troops of slaughtering hundreds of civilians trapped in basements in Cizre. Reports stated that some 150 people were burned to death.